Once associated solely with breakfast, granola has become a staple, eaten any time of the day. As this book demonstrates, part of granola's appeal is its adaptability and its ability to add valuable nutrition to other dishes. Depicted in full-page color photographs, here are Oatmeal Raisin Cookie Granola, Banana Trifle, Ginger Pear Granola, Breakfast Parfait, Chocolate Caramel Pecan Granola, and No-Bake Granola Energy Balls. Proving that your favorite drinks blend with granola, here too are recipes for incorporating mocha, chai, and Earl Grey tea. 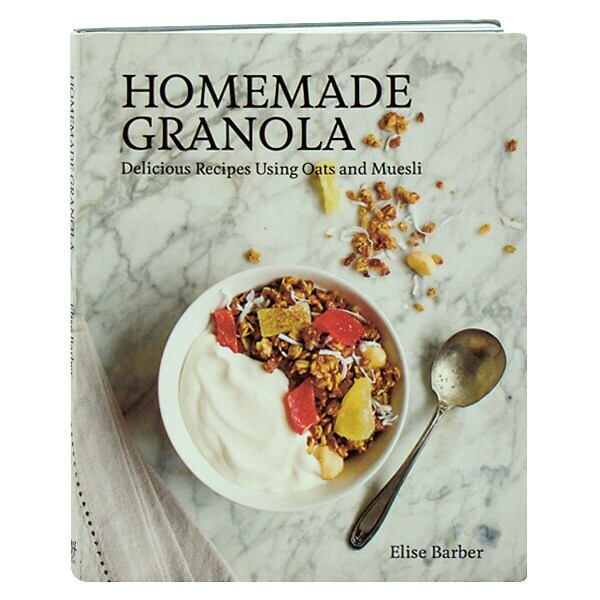 Elise Barber provides an overview of granola's many health benefits, and suggests how to stock your pantry to be able to whip up these treats at a moment's notice.